Start your day with great coffee from our espresso coffee machine and a freshly cooked breakfast in our light and airy café. Whether you like something indulgent, healthy or even sweet, Café Vulcan has you covered. 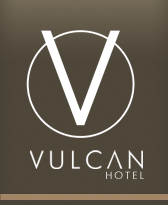 Located within the Vulcan Hotel Sydney, Café Vulcan is the perfect place to begin your day. Café Vulcan is considered one of the best Cafes in Ultimo by the locals. The cafe is great due to the friendly atmosphere, terrific customer service and outstanding coffee served with a welcoming smile. What’s better than enjoying a freshly made cup of coffee and indulging yourself with a delicious breakfast before you head out for the day exploring the city. Our menu has something for everyone, whether you prefer a hot breakfast, something healthy or something sweet. You can make a breakfast reservation or just walk in. Cafe Vulcan is open from 7.00 AM until 10.00 AM from Monday to Friday and from 8.00 AM until 11.00 AM on Saturdays and Sundays. Situated at 500 Wattle Street, Ultimo, Café Vulcan is close to the Sydney Fish Markets, Wentworth Park, Central Station, Darling Harbour with its new ICC - International Convention Centre, Central Park and Chinatown. Theatre Districts and Universities a only short trip away. If you get lost call the hotel on 02 9211 3283 and someone will endeavour to give you directions. Enjoy a freshly made cup of coffee and indulge yourself with a delicious breakfast before you head out for the day exploring the city. You can make a breakfast reservation or walk-ins are welcome. Opening Hours Cafe Vulcan is open from 7.00 AM until 10.00 AM from Monday to Friday and from 8.00 AM until 11.00 AM on Saturdays and Sundays.